Stephen Coughlin. Catastrophic Failure. Learn Islam's Dangerous Triple Lock System. Facts about Islam. Truth about Islamic Beliefs and Islamic Organizations. Learn about Islam's Dangerous Triple Lock System. Do I have anything to say that I haven't said before? 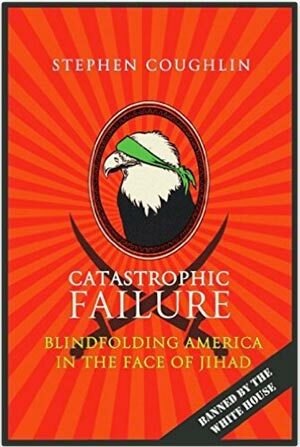 There's a book I'll recommend: Stephen Coughlin's Catastrophic Failure: Blindfolding America in the Face of Jihad. The general outline has nothing new - for example, you're not allowed to change anything from the Quran. Almost everyone knows that. 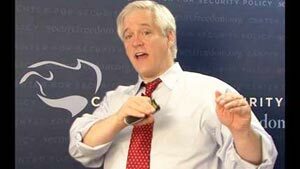 But there are masses of details I didn't know - such as, Islam has a triple lock system, like a maximum security prison. Lock one (as stated): if it's in the Quran, and not abrogated, that's the way things have to be forever. Lock two: if it's become part of Sharia, whether or not it's in the Quran, it must stand forever. Lock three: if Islamic scholars have agreed on something, whether or not it's in the Quran or in Sharia, it must never be re-opened for questioning. The first lock is enough to convince me that Islam is not open to reform - because to do so, you go against the Quran, and the punishment for that is murder. But then, two more locks. Heavy metal doors clang shut. How do I feel about the triple-lock system? It's good stuff to know - or we invite even more catastrophic failure. What am I getting from Catastrophic Failure? Most of the time I act from knowing, with my head, that it's vital to act against Islamization in its many forms. Reading this book makes me feel, on a gut level, how vital it is to do all we can. How does Coughlin keep going, I also wonder. Before Obama, he was briefing top people in the American military, FBI, CIA. Now he's an outsider - and he has kept going, doing, reaching anyone he can - with online videos, speaking engagements, and his powerful book. It's so important to be able to keep going, when the forces against us are gaining ground, sometimes massively - as has happened in Europe this past year with the mass influx of Islamics - and as is currently happening in Canada with the new pro-Islam prime minister. This isn't a story - like Star Wars, where we know that, somehow or other, all will be well in the end (until the next episode). This is life. The outcome isn't set in stone. Even what happens next isn't set in stone. Lots of surprises along the way - including good ones, like the emergence of Trump. Anyway, today, not much to say. Except, as always, that it's time to continue, to keep going and doing. Banned by the White House.